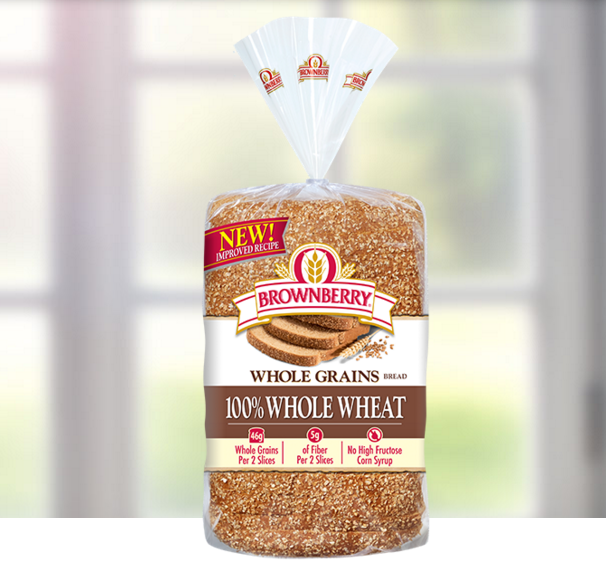 We were already fans of Brownberry breads, but now we can enjoy the newly reformulated Brownberry® Whole Grains 100% Whole Wheat Bread! 100% is a go-to choice for me for peanut butter toast in the morning, but there are so many other ways to enjoy it too. 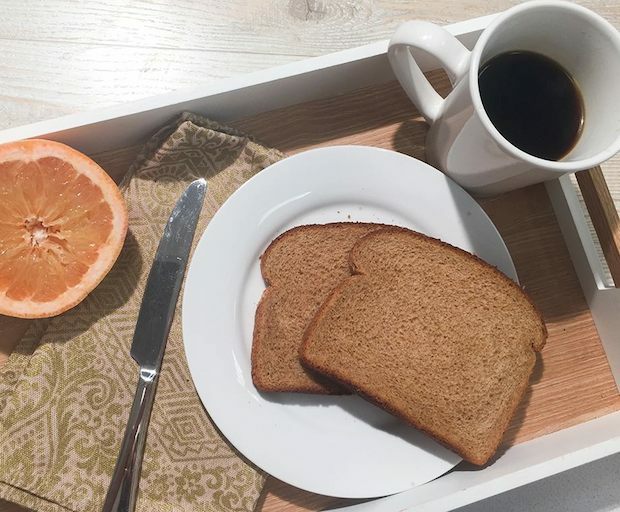 Brownberry® Whole Grains 100% Whole Wheat sliced bread a good choice because it’s a premium bread with a whopping 23g of whole grains per slice! It has 100 calories per slice and 3 g of fiber. What it DOESN’T have is also good – Brownberry® Whole Grains 100% Whole Wheat sliced bread has NO high fructose corn syrup or artificial colors or flavoring. Ready for a yummy lunch idea with Brownberry® Whole Grains 100% Whole Wheat Bread? Try this delicious Cranberry & Avocado Sandwich Recipe featured at Brownberry.com! Spread avocado to cover one slice of bread and cranberry sauce to cover the other slice of bread. 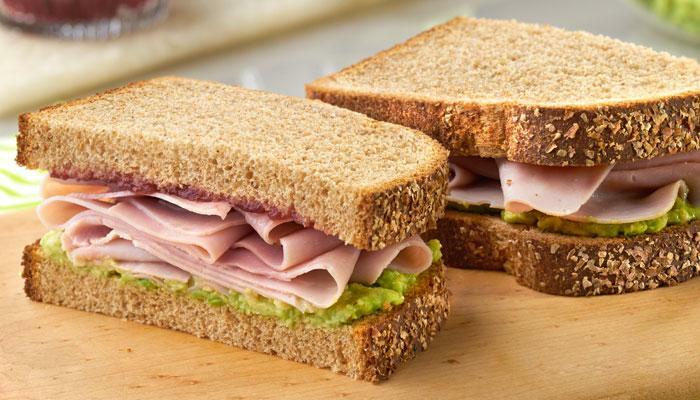 Layer ham over the avocado and place the cranberry slice of bread on top, sauce-side down. Cut in half and enjoy. Reader Giveaway: One lucky Thrifty Recipes reader will receive three (3) coupons, valid for free Brownberry® Bread. To enter, just complete the entry form below by 11:59pm ET on 3/7/16. Good luck! Disclosure: Coupons for product redemption, information, and gift card have been provided by Brownberry® Bread. I would make grilled cheese. I would make a sandwich with a good salami. I would make tasty veggie sandwich with brownberry bread! I would make french toast with the bread. I would make an avocado sandwich! I would make a delicious sandwich! Earn up to 15 more points by finishing the entry above. Oh I would love to make grilled cheese sandwiches! That looks delicious. I would definitely make a turkey bacon and cheese panini! Those are my favorite! I would make a grilled cheese sandwich . I’d make a tuna sandwich on toast with pickles. I would make a ham sandwich. I’m pretty basic and would make a turkey sandwich. I would make a ham sandwich! I would make a grilled cheese sandwich with sliced onions and tomatoes . I would make a grilled ham & swiss sandwich!! The first thing I would make with Brownberry® Whole Grains 100% Whole Wheat sliced bread would be a grilled cheese sandwich. The first thing I would make is a BLT. i would make a good sandwich. I am a big fan of BLT’s so that is probably what I would make first. id make turkey and swiss with the extra seedy bread! I would make a turkey sandwich. The first thing I would make is french toast. I would make turkey and avocado sandwiches. Something about cranberry snd ham is always good.